du Boulay Contracts are delighted to have project managed the interior fit out of No 45 Jermyn St, which has recently opened in the heart of St James’s. An exciting new destination venue, it combines old school glamour with contemporary London style. The design was undertaken by the renowned architectural studio, Martin Brudnizki Design Studio – we have worked together previously on numerous other hospitality projects in London and throughout the UK. The exquisite dining room, which takes its inspiration from the golden age of glamour, has 113 covers and allows for both table and counter dining options. 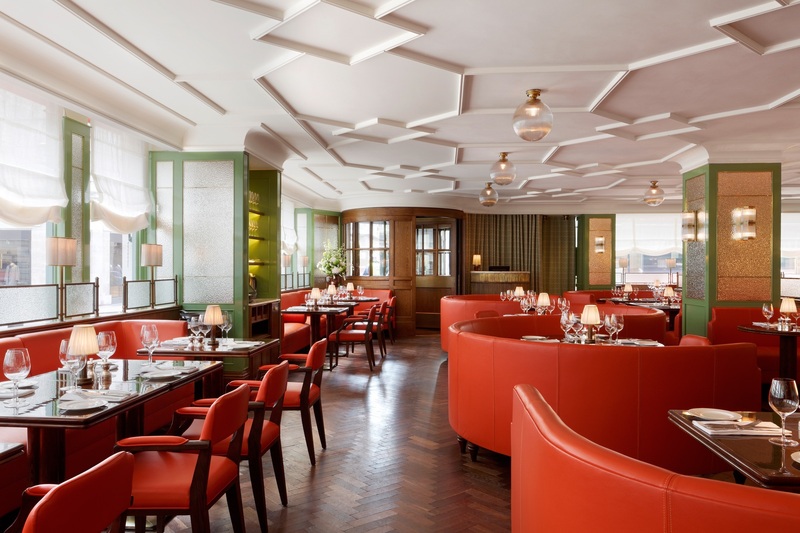 It fuses classical detailing with a rich colour palette, and includes burnt orange leather banquettes in the centre, and intimate booths set against the front and back walls. A striking feature is the marble-fronted dining bar, where an innovative and fun range of cocktails will be shaken, stirred, and spritzed. Open from 7:00am to midnight every day, the menu will reflect modern London cuisine. It incorporates classic dishes with those influenced by the cosmopolitan tastes of the capital’s restaurant-goers, embracing their ever-changing dining habits and the ambience will be one of understated sophistication.